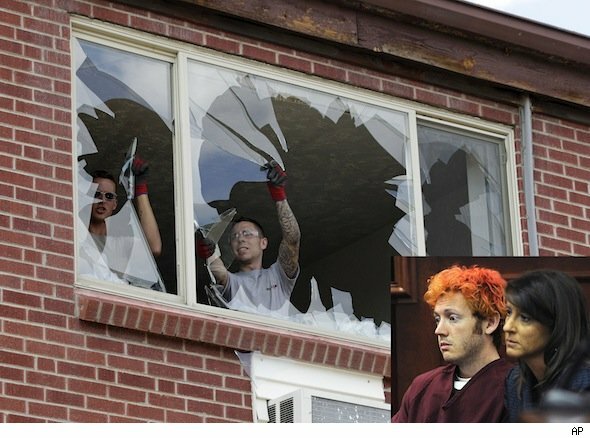 Alleged movie theater gunman James Holmes is officially being evicted from his Aurora, Colo., apartment. According to an eviction notice, Holmes is being kicked out because he "murdered numerous individuals" and "booby trapped the premises," both violations of his lease agreement. Holmes is being charged with 12 counts of first-degree murder, 12 counts of murder with extreme indifference and 116 counts of attempt to commit murder for allegedly spraying bullets into an Aurora movie theater on July 20. 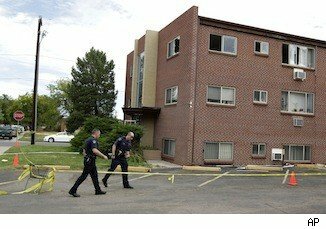 Victor Sulzer, an attorney for Holmes' landlord, explained to the Denver Post that Holmes is still technically a tenant of the building. "His actions are a substantial violation of his lease," Sulzer told the newspaper. If Holmes loses the case, a representative for him must pick up his belongings from the apartment, or they will be put out on the curb in front of the building, Sulzer said. Holmes allegedly shot and killed 12 people, and injured 58 others, during a screening of the "Batman" film "The Dark Knight Rises." After his arrest in the case he also allegedly told police of the explosives that authorities subsequently reported finding in his apartment.